Penelitian - China plans to launch its first satellite to test the technologies of the space-based gravitational wave detection program "Tianqin" by the end of 2019. Tianqin, meaning "harp in sky" was initiated by Sun Yat-sen University in 2015. It will consist of three satellites forming an equilateral triangle around the earth. "It's like a harp in space. If the gravitational waves come, the 'harp's strings" will be plucked," said Luo Jun, president of the Sun Yat-sen University and an academician of the Chinese Academy of Sciences, at a conference held recently in Guangzhou. The detection will be based on high-precision laser interferometry technology to measure the changes of the distances and locations of the three satellites, according to Luo. The first-ever discovery of gravitational waves by the American Laser Interferometer Gravitational-Wave Observatory (LIGO), announced in February 2016, has encouraged scientists worldwide to accelerate their research. 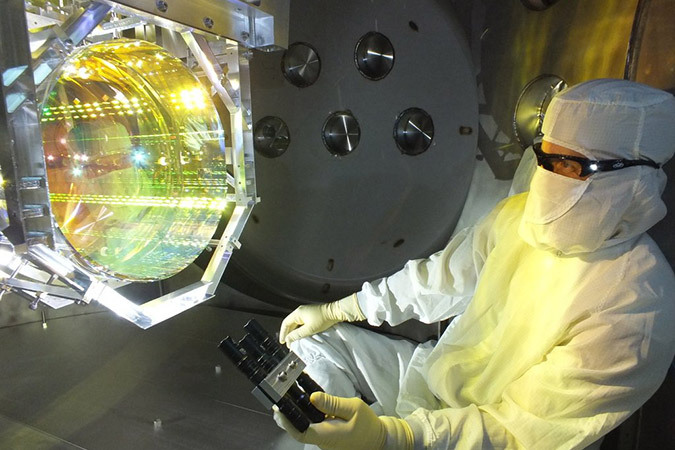 Different from LIGO, the space-based probes will be used to detect gravitational waves at much lower frequencies, which are generated by the merging of massive or supermassive black holes, scientists say. The European Space Agency has also launched a space-based gravitational wave detection program, the "Laser Interferometer Space Antenna" project. Luo admitted that although China had achieved some breakthrough results in the detection technology, there was still a huge gap to realize the space-based detection of gravitational waves. Laser-ranging is one of the necessary technologies for detection. China accomplished its first successful laser-ranging between earth and the moon in January this year. The relay satellite of China's Chang'e-4 lunar probe, launched in May this year, carries a reflector developed by the Sun Yat-sen University, and is expected to extend laser-ranging to a record distance of 460,000 km in 2019. Scientists from Germany, Italy and Russia have expressed their willingness to cooperate with China in gravitational wave detection.